Norwalk ACTS is a member of the StriveTogether Cradle to Career Network, a national network of 70 community partnerships in 32 states and Washington D.C. using a rigorous approach to accelerate progress and sustain success academically, socially/emotionally, and physically. Together, the Network impacts more than 8 million students nationwide. 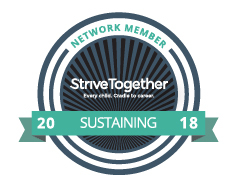 Norwalk ACTS recently become a Sustaining Network Member of StiveTogether. Partnerships in the Sustaining Gateway focus on using data in a continuous improvement process to identify improvements and interventions; ensuring regular communication across the partnership; engaging partners to improve community-level outcomes and mobilizing resources to remove barriers that inhibit the impact. 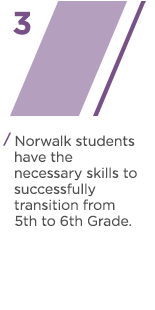 To ensure the success of all children in Norwalk, we are focused on results, improving upon what works, and changing what doesn’t. We recognize that every individual and organization that impacts our children’s growth, from cradle to career, is accountable, and that our collective voice is a part of the solution. Sign up for our newsletter and join the movement! Opinion | A Really Good Thing Happening in America THIS is Norwalk ACTS. This is our work in this community as one of the 70 members of STRIVETogether.A strategy for community problem-solving does an extraordinary job at restoring our social fabric. Kumon Need tutoring help for your child? 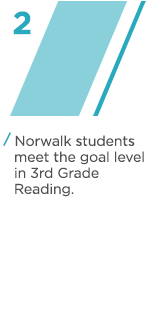 Click here to take advantage of a terrific offer from Kumon of Norwalk. Kumon teaches kids to study smarter, not harder, developing the skills to tackle any challenge. Norwalk ACTS shared a post. Human Services Council Please consider supporting this important program that can really help a child feel ready for the new school year. Norwalk Early Childhood Council Celebrating the Week of the Young Child! Norwalk Early Childhood Council NORWALK PUBLIC LIBRARY Family & Children's AgencyNorwalk ACTS shared a post. All-Time High: State Graduation Rate Increases Again We are definitely headed in the right direction - improving the lives and enhancing the futures of our young people. 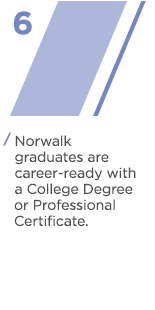 Norwalk graduation rates came in at 93 percent, increasing by 10 percent over the past five years. That's good news! 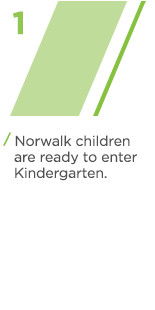 Norwalk Early Childhood Council A wonderful opportunity to give children a leg up and prepare them for kindergarten. Free Camp ELLI summer program for children registering for who have not been to preschool. Tomorrow night, the Human Services Council will be offering a #free workshop for parents, offering tips and tools for talking with their middle and high schoolers about alcohol. The hidden crisis on college campuses: 36 percent of students don’t have enough to eat Food insecurity is real. Locally, Norwalk Community College operates a food bank so students can focus on academics.A first-of-its-kind survey finds one-third of college students regularly skip meals and lack stable housing. StriveTogether Congratulations StriveTogether on an incredible first year! Carver Foundation of Norwalk Keep kids learning this summer. #summerslidehttps://www.thehour.com/news/article/Norwalk-ACTS-tackles-summer-slide-12788848.php#photo-15304548Norwalk ACTS shared a post. Land Trust Alliance No Child Left Inside!Grab a jacket. Grab your boots. We're going outside, kids!Norwalk ACTS shared a post. How to inspire every child to be a lifelong reader Young children learn to read. In 3rd grade and beyond, they read to learn. Inspiring lifetime readers.